Dr. Park, Professor of Management, joined the HPU faculty in the summer (May) of 2015. Prior to joining HPU, Dr. Park taught MBA/Undergraduate Capstone (Strategic Management/Business Policy), Organizational Behavior, Strategic HRM, Business Simulation, International Management, and Strategic Leadership courses at Xavier for twenty-three years. He also taught at Bowling Green State, University of Michigan, and Texas A&M over his academic career. 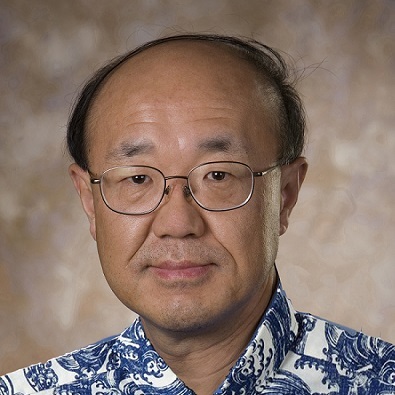 As a global expert in business simulation, Dr. Park has received numerous teaching excellence and innovation awards and grants, and his research has been published in top-tier business journals including Strategic Management Journal, Academy of Management Executive, Journal of Management Studies, Journal of Business Research, Management International Review, Journal of Small Business Management, etc. He is currently serving on two Journal editorial boards as an editor. Prior to entering academia, Dr. Park was a marketing representative for IBM Korea as well as administrative staff for the National War College (Army). Dr. Park introduced Entrepreneurship Black Belt program and JUGAAD (Creativity and Innovation) programs (the first in the nation) and successfully handled fundraising (including $3.5M gift for the Sedler Family Center for Entrepreneurship and Innovation). In 2017, he also introduced the Aloha Biz Simulation Competition and Gamification Seminar (the first in the state of Hawaii). In 2016 and 2018, he also introduced Aloha Business Law Seminar with HI Chief Justice. In the classroom, Dr. Park arms his students with the most innovative and updated business competence and skills – best ROI (Return on Investment) thru ROM (Return on Management). He received the Golden Apple Award in 2017 – the University’s most prestigious teaching excellence award.